Our fashion start-up C’est Mode Chic made it’s grand debut at the Fairfield County Women’s Expo last weekend. We are incredibly happy and excited about how well our products were received by attendees. We’re not quite ready to quit our day jobs just yet but the future is looking bright for C’est Mode Chic thanks in part to our first expo show. We were able to spread the word, receive feedback, and get some immediate sales at the event. However, this was our first expo as exhibitors so our show was not without its flaws. There were things that worked and some things that didn’t. The style contest didn’t seem to generate much interest— to be perfectly honest, it attracted zero interest. You would think having guests take a self-portrait showcasing their personal style would be a hit but it was not. In hindsight, we should have made the contest in such a way it appealed to the over 40 demographic group because from what we saw that was the age group in which most attendees fell. Also, we could of used bigger signage to drape over the back curtain of our booth to draw more eyes. The generic display of our company name lacked the kind of stylish flair that is such a big part of our branding. One of the biggest mistakes we made was the choosing of our location which was tucked away from all the action near the main entrance. 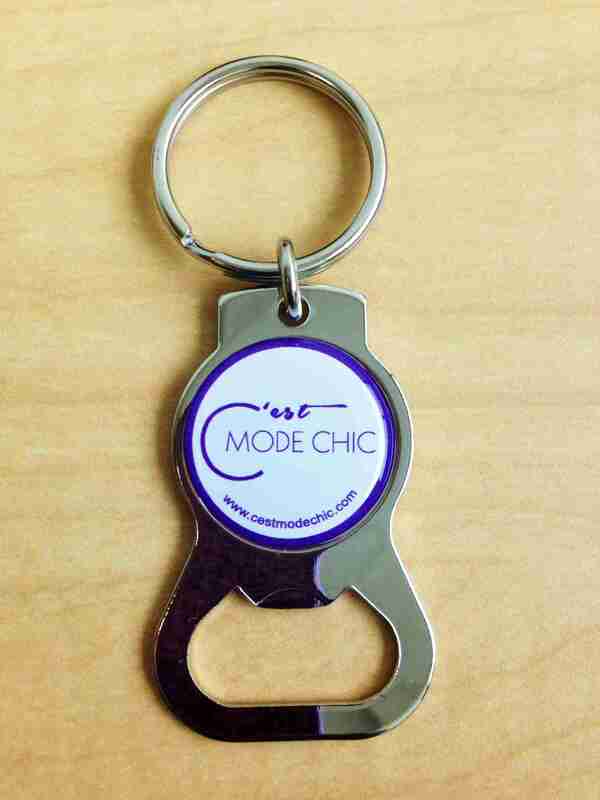 On the other hand, our giveaway of the free keychain bottle openers to guests that visited our booth was successful in capturing interest and curiosity for our brand. 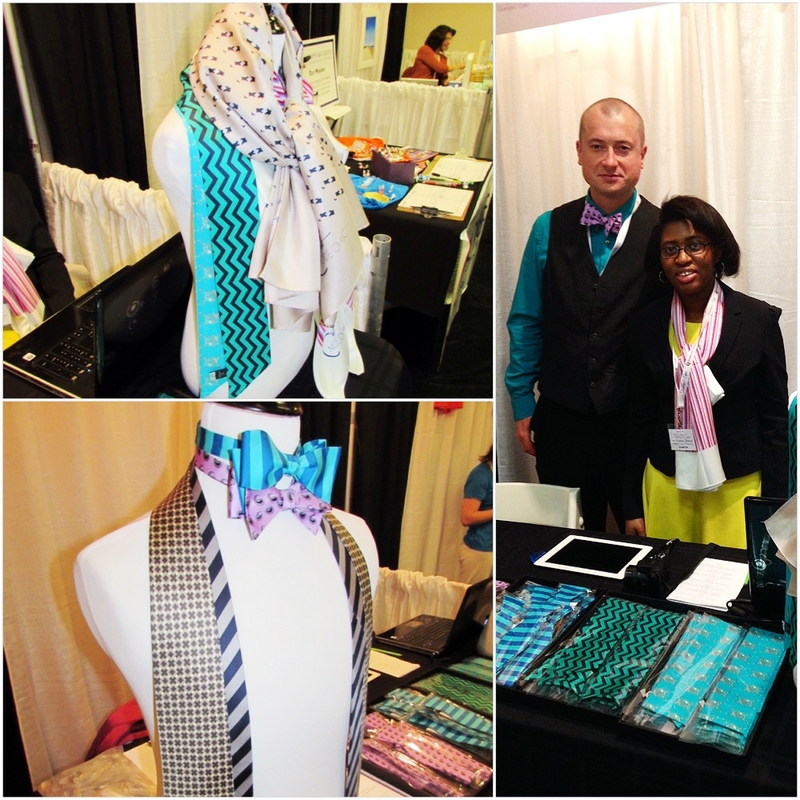 Our products, particularly the bowties, attracted the most attention but it was the scarves that generated the majority of sales. Overall, it was a successful show that has opened up a great opportunity for our brand, something I never expected to occur so quickly. We’re close to making a big announcement about this in the coming days so stay tuned! Our launch event taught us some valuable lessons we’ll save for the next expo in the fall and it’s paved the way for our next adventure! Not bad, not bad at all. This entry was posted in General, Style Talk, The Grind and tagged C'est Mode Chic, fashion start-up, launch event. Bookmark the permalink.